The volcano of the Horn of Africa are set in motion by exploding in Eritrea for the making of the most expected Ethiopian ocean. It set in action as we have foretold in this site in previous articles. Many geophysicist and seismologist thought it will take millions of years to split the horn of Africa. But we have explained in serious of articles that it is in the end of the millions of years phase, and even in our time we will see the opening of the new ocean. It is very simple to give a reality description of events but the true prediction we have been making will save thousands of live if the government of the region start evacuating the population and stop damming the region. In the evening of June 12 2011, a series of earthquakes struck the Afambo, Eritrea area. The earthquakes were followed by 2 strong 5.7 earthquakes. This pattern will continue till the final breaking of the Horn from the rest of the continent of Africa. Mallahle is the central of three NE-SW-trending stratovolcanoes in the Danakil horst SW of Dubbi volcano, and lies SSW of Nabro volcano. volcano. Recent obsidian flows are found on the NW flank of Mallahle and older obsidian flows were erupted on the northern caldera floor. Flank spatter and scoria cones are most numerous on the western side of the volcano. Extensive ignimbrite deposits associated with the collapse of Mallahle and Nabro volcanoes blanket the countryside. UPDATE 21:28 UTC : These magnitudes can lead to serious damage if the epicenter is below or very near to Afambo (which is very nearby based on the seismological data) . We do not think that there will be injured people as the series started with moderate earthquakes and as people will stay on the streets after so many earthquakes. The current situation tends to become very dangerous. UPDATE 21:23 UTC : A Mw5.7 has been also recorded at depth 9km in around the same area. No record of damage has yet been recorded. UPDATE 21:03 UTC : Lucas Tavares reports in our Facebook page : I was studying about this volcanoes past hours. Maybe the shakes surrounds the Mallahle or Nabro Caldera, there is’nt any known eruptions of these volcanoes! Shakes are becoming stronger! UPDATE 20:58 UTC : We have still no trace (as expected) of what is really going on. This last 5.4 earthquake can be damaging at this shallow depth when the epicenter is located below a village or town. As we are unsure of the exact epicenter (the error margin may be 10 to 30 km different than reported by the USGS). UPDATE 20:56 UTC : The earthquakes are continuing with the last one as the strongest so far with a magnitude of 5.4 at a depth of 10 km. UPDATE 19:37 UTC : This unusual series of moderate earthquakes have also occurred a couple of months ago in the Gulf of Aden. The earthquakes are typical for separating irregular tectonic plates. The series in the Gulf of Adenhad their epicenter in the immediate area of the ridge fault. Due to the close-by volcanoes, an eruption pattern of the Dubbi volcano is still possible. The pre-eruption pattern of both the Icelandic and Chilean volcanoes from the last few weeks is also present here. Compared to Iceland and Chile, Eritrea has other concerns than looking to beautiful eruptions. We will follow up these events and will come back to you as soon as we can get more data ? Moderate shallow earthquake with an epicenter almost below Afambo. Approx. 15 km from the Dubbi volcano. The peak of the Dubbi volcano is 1625 m. There have been four known eruptions. In 1400 lava was determined to have reached the Red Sea while in 1861 ash was thrown over 250 km from the volcano. Two further events were suspected between 1861 and the 20th century. During the late afternoon and evening of June 12 2011 a series of moderate earthquake struck at first near Afambo in Eritrea and later 100 km more to the south in Ethiopia. At the moment of writing, we do not know whether these earthquake have a tectonic or a volcanic origin. Satellite images showed a large eruption occurring shortly after 2200 UTC June 12, close to 1 AM East Africa Time, in the Southern Red Sea Region. The eruption created a large ash cloud near the Eritrea-Ethiopia border region, eventually extending over 1,000 km (620 mi) into neighboring Sudan. Forecasters predicted that the ash plume may reach Israel. The erupting volcano is located within the Afar Triangle, in the larger Danakil Depression that holds many other active volcanoes. However, neither volcano thought potentially responsible for the eruption has seen activity in the past century, with Dubbi last erupting in 1861 and Nabro remaining quiet for thousands of years. No eruption of Nabro occurred in recorded history. A series of earthquakes, including two at magnitude 5.7 struck the region in the hours preceeding the eruption. The tremors may be volcanic in origin. ^ News, BNO (June 13, 2011). “VAAC: Eruption underway at Dubbi volcano in Eritrea”. Channel 6 news. Retrieved 13 June 2011. ^ News, BNO (June 13, 2011). 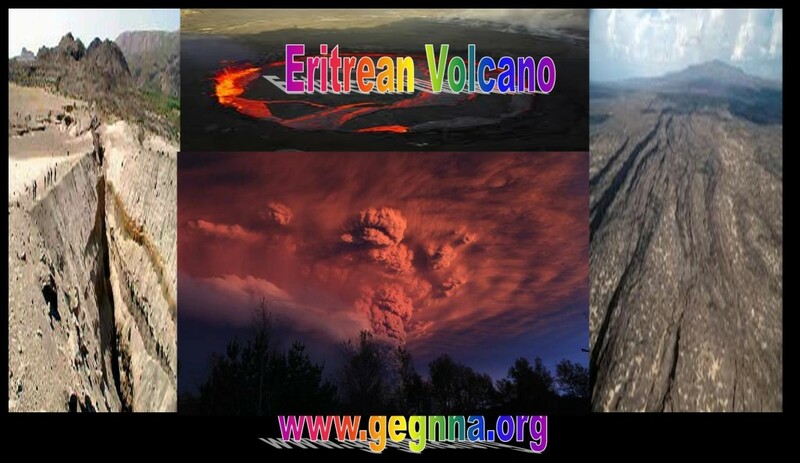 “UPDATE 1 — Volcanic eruption in Eritrea sends plume into the air, …. WireUpdate. Retrieved 13 June 2011. ^ VAAC, Toulouse. “Toulouse VAAC – Volcanic Ash Advisories”. Meteo France. Toulouse Volcano Ash Advisory Centre. Retrieved 13 June 2011. ^ Vervaeck, Armand (June 13, 2011). “Eritrea volcano eruption : Ash cloud advisory extending further into Africa”. Earthquake – Report. Retrieved 13 June 2011. ^ Gubin, Anastasia (June 13, 2011). “Africa: Volcán Nabro erupciona lanzando cenizas hasta Sudán” (in Spanish). The Epoch Times. Retrieved 13 June 2011. ^ Duran, Jim; Warren Miller (June 13, 2011). “Dubbi volcanic ash cloud expands westward through Northern Africa”. The Weather Space. Retrieved 13 June 2011. ^ Masa, Israel. “ענן וולקני מהר געש באריתריאה מתקדם לעבר ישראל” (in Hebrew). Masa.co.il. Retrieved 13 June 2011. ^ A, Solomon (June 13, 2011). “Series of moderate earthquakes hit Eritrea – Ethiopia border region”. Ethiopian Journal. Retrieved 13 June 2011. ^ Earthquake, USGS. “Magnitude 5.7 – ERITREA – ETHIOPIA REGION”. United States Geological Survey. Earthquake Hazards Program. Retrieved 13 June 2011. ^ Stuff, NZ (June 13, 2011). “Quake swarm hits Ethiopia-Eritrea”. Stuff.co.nz. Retrieved 13 June 2011. Freedom House has made the yearly report for political freedom, 2010. We we have made the following extract concerning Ethiopia. Sub-Saharan Africa: Major declines were recorded in Ethiopia and Djibouti, both of which dropped from Partly Free to Not Free. In addition, declines were noted in Burundi, Côte d’Ivoire, Guinea-Bissau, Madagascar, Rwanda, Swaziland, and Zambia. Improvements were noted in Kenya, Nigeria, Somaliland, and Tanzania, as well as in Guinea, which received an improvement in status from Not Free to Partly Free. Ethiopia received a downward trend arrow due to the narrowing of political space in advance of the 2010 elections, the government’s crackdown on the operations of nongovernmental organizations, and its passing of a draconian antiterrorism law. Prime Minister Meles Zenawi’s government bolstered restrictions on political activity in 2009 as it prepared for federal and regional elections scheduled for 2010. Opposition party activists were arrested, and a new antiterrorism law gave the government broad authority to crack down on perceived opponents. Other legislation enacted during the year imposed strict controls on civil society organizations. One of the few African countries to avoid decades of European colonization, Ethiopia ended a long tradition of monarchy in 1974, when Emperor Haile Selassie was overthrown in a Marxist military coup. Colonel Mengistu Haile Mariam ruled the country until a coalition of guerrilla groups led by forces from the northern Tigray region overthrew his brutal dictatorship in 1991. The main rebel group, the Ethiopian People’s Revolutionary Democratic Front (EPRDF), formed a new regime, and its leader Meles Zenawi became interim president. Under the EPRDF, democratic institutions and a new constitution were introduced. Most of the opposition boycotted elections held in 1995, claiming harassment of its supporters precluded a fair vote, and Meles became prime minister. He began a second five-year term after the 2000 elections, which the EPRDF also won easily. Opposition parties and some observers criticized the government’s conduct of the vote. A border dispute with Eritrea, which had gained formal independence from Ethiopia in 1993 after a long guerrilla conflict, triggered a war that lasted from 1998 to 2000. The Eritrea-Ethiopia Boundary Commission was then established to draw a new border, but Ethiopia rejected its 2002 decision to assign the town of Badme to Eritrea. In the 2005 elections for the powerful lower house of Parliament, the EPRDF and its allies won 327 seats, while the two main opposition parties took 161 seats, up from 12 in the previous Parliament. Notwithstanding their gains, opposition parties argued that fraud and interference in the electoral process had deprived them of outright victory. Street demonstrations led to violence and a harsh reaction by the authorities. At least 193 people were killed and more than 4,000 were arrested, including leading opposition figures, who were finally pardoned and released in 2007. The opposition boycotted local elections in 2008, accusing the EPRDF of harassment. Opposition activities were further restricted in 2009, as the EPRDF prepared for the 2010 federal and regional elections. In June, 45 members of an unregistered political party were charged with trying to topple the government. Ethiopia’s relations with neighboring countries were tense but stable in 2009. The border dispute with Eritrea remained unresolved, but Ethiopian forces completed their withdrawal from Somalia, ending a disastrous three-year campaign aimed at destroying Islamist rebel groups and propping up the war-torn country’s Transitional Federal Government. Meanwhile, Ethiopia continued to face separatist movements in Oromiya and the Ogaden. Sporadic fighting persisted between government forces and Ogaden National Liberation Front (ONLF) guerrillas. The authorities have banned journalists from the region, preventing the outside world from accurately assessing the situation there. Ongoing drought in parts of the country in 2009 led to a warning that five million people would be in need of food aid, in addition to the eight million who already received it. The drought also reduced Ethiopia’s hydroelectric power output, causing frequent outages in Addis Ababa and contributing to a growth rate of less than 2 percent according to the United Nations, which was far less than the 10 percent claimed by the government. Ethiopia is not an electoral democracy. However, the presence of a significant elected opposition at the federal level since 2005 does mark a possible step forward in the development of the country’s democratic political culture. The bicameral Parliament consists of a 108-seat upper house, the House of Federation, and a 547-seat lower house, the House of People’s Representatives. The lower house is filled through popular elections, while the upper chamber is selected by the state legislatures, with both serving five-year terms. The House of People’s Representatives selects the prime minister, who holds most executive power, and the president, who serves in a largely ceremonial capacity for six-year terms. The 1995 constitution has a number of unique features, including a federal structure that grants certain powers and the right of secession to ethnically based states. However, in 2003 the central government acquired additional powers to intervene in states’ affairs when public security is deemed to be at risk. More than 60 legally recognized political parties are active in Ethiopia, but the EPRDF dominates political life. Government harassment has seriously impeded the ability of opposition parties to function, although some have used rhetoric that could be interpreted as advocating violence, or have failed to conduct themselves in a manner consistent with a democratic political culture. A recent series of arrests of opposition figures appeared to signal a crackdown on political freedoms in advance of the 2010 elections. Unity for Democracy and Justice party leader Birtukan Mideksa, who had received a sentence of life in prison after the 2005 postelection violence and was pardoned in 2007, was rearrested in December 2008 after her pardon was revoked. In June 2009, 46 people were charged with plotting to overthrow the government on behalf of Ginbot 7, an unregistered party. In November, a court convicted 26 of the defendants after a trial that legal rights groups criticized as unfair. However, a high-profile opponent of the government, the singer Tewodros Kassahun, known as Teddy Afro, was released early from a two-year prison sentence in August 2009; he had been convicted for a hit-and-run automobile accident, but his supporters claimed that the case was politically motivated. The government has taken a number of steps to limit corruption, including the imposition of asset-disclosure rules for state officials. However, graft remains a significant problem. Former prime minister Tamrat Layne and former defense minister Seye Abreha were convicted of corruption in 2007, but both had been released by the end of 2008, having already served several years in prison on other corruption charges.Ethiopia was ranked 120 out of 180 countries surveyed in Transparency International’s 2009 Corruption Perceptions Index. The news media are dominated by state-owned broadcasters and government-oriented newspapers. There are a number of independent newspapers, but they struggle financially and face intermittent government harassment. The only independent newspaper in the capital, Addis Neger, suspended operations in November, as staff said they feared prosecution by the authorities. A 2008 media law has had a chilling effect on freedom of speech. Although it barred government censorship of private media, the measure allowed prosecutors to seize material before publication in the name of national security and gave the government broader powers to pursue defamation cases. Journalists who fall foul of the government risk exile or imprisonment. In two separate cases in August 2009, journalists were given one-year prison sentences for spreading false information. Internet usage is confined mainly to major urban areas, and the government has blocked opposition-run websites. Constitutionally mandated religious freedom is generally respected, although religious tensions have risen in recent years. The Ethiopian Orthodox Church is influential, particularly in the north. In the south there is a large Muslim community, made up mainly of the Somali, Oromo, and Afari ethnic groups. Academic freedom is restricted. Prime Minister Meles Zenawi has accused universities of being friendly to the opposition, and their activities are closely monitored. In recent years, student protests against government policies have led to scores of deaths and injuries and hundreds of arrests. The government has tried to establish a more orderly and loyal academic community by creating 13 new state universities. Growing intolerance of dissent has dampened private discussion in the country, as even ordinary citizens face harassment or arrest for speaking out against the government. Freedoms of assembly and association are limited. In January 2009, the House of People’s Representatives passed the Charities and Societies Proclamation, which is designed to restrict the ability of foreign nongovernmental organizations (NGOs) to bypass government channels when they disburse funds. Foreign NGOs are defined as groups that receive more than 10 percent of their funding from abroad. The measure also gives the government broad authority to restrict NGO activities it deems unhelpful, such as campaigning for human and political rights. All civil society organizations are required to reregister with the government under the new rules. Trade union rights are tightly restricted. Government workers in “essential industries,” a term that is broadly defined, are not allowed to strike, and the Confederation of Ethiopian Unions is under government control. Some union leaders suspected of engaging in political activity have been removed from their elected offices or forced to leave the country. All unions must be registered, and the government retains the authority to cancel union registration. The judiciary is officially independent, although there have been few significant examples of decisions at variance with government policy. Suspects are routinely held without warrants, and cases can take a long time to reach court. A draconian new counterterrorism law, passed by the government in July 2009, defines terrorist activity very broadly and gives great discretion to the security forces. According to Human Rights Watch, the law could be used to prosecute peaceful political protesters and impose the death penalty for offenses as minor as damaging public property. Conditions in Ethiopia’s prisons are harsh, and the International Committee of the Red Cross is not permitted to inspect federal facilities and police stations. Detainees frequently report being abused or tortured. The government has tended to favor Tigrayan ethnic interests in economic and political matters. Politics within the EPRDF have been dominated by the Tigrayan People’s Liberation Front. Discrimination against other groups, especially the Oromo, has been widespread. According to the International Crisis Group, Ethiopia’s federal system of government, which grants autonomy to the dominant ethnic group in each region, has increased tensions between communities. Repression of the Oromo and ethnic Somalis, and government attempts to co-opt their parties into subsidiaries of the EPRDF, have helped to fuel nationalism in both Oromiya and the Ogaden. The government has established a Women’s Affairs Ministry, and Parliament has passed legislation designed to protect women’s rights. In practice, however, women’s rights are routinely violated. Women have traditionally had few land or property rights, especially in rural areas, where there is little opportunity for female employment beyond agricultural labor. General deficiencies in education exacerbate the problems of rural poverty and gender inequality. According to the NGO Save the Children, Ethiopia has one of the lowest rates of school enrollment in sub-Saharan Africa.